Would you want people who hated and fought you around every corner at a celebration of peace and love and the Miracle of Hanukkah. President Donald Trump celebrated his recognition of Jerusalem as Israel’s capital at the White House Hanukkah Reception. This year’s event came one day after Trump formally recognized Jerusalem as Israel’s capital and directed the State Department to prepare for moving the US embassy from Tel Aviv to Jerusalem — a campaign that both he and several former had made but which has remained unimplemented. 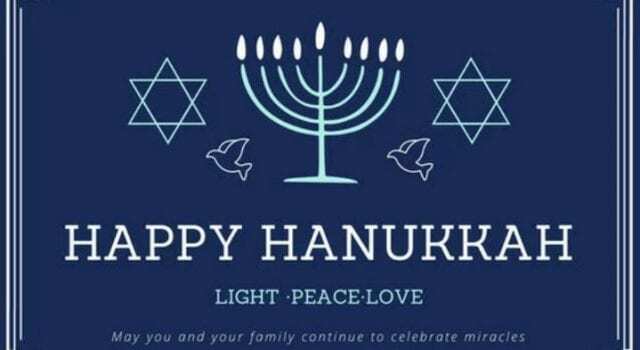 That the lamp burned for eight days – the miracle celebrated by Jews around the world on Chanukah, shows “God’s presence in his dwelling place and a symbol of the faith and resilience of the Jewish people. You do have faith and you do have resilience,” Trump said. Trump was standing by his wife Melania. Beside them was also his daughter Ivanka, his son-in-law and senior adviser Jared Kushner, and his grandchildren, whom he noted, are Jewish. Vice President Mike Pence, his wife Karen and Rabbi Meir Soloveichik were also in the room. A Holocaust survivor, Louise Lawrence-Israels, spoke at the event about hiding as a young girl in an Amsterdam attic. Treasury Secretary Steven Mnuchin, Secretary of Veteran Affairs David Schulman and Trump’s special Middle East peace envoy Jason Greenblatt, who are all Jewish, also attended.